The team at Pipe Perfection Plumbers have helped thousands of Sydney home-owners solve their plumbing problems and save $$$. Don’t take our word for it… here’s what our happy customers across the inner west and eastern Sydney suburbs have said..
Top quality workmanship; the guys obviously take a lot take pride in what they do. Professional and courteous communication throughout from initial contact to follow-ups with our plumber. Definitely exceeded our expectations. I highly recommend Pipe Perfection. They arrived at the stated time frame - wow! Friendly service. Great experience right from the start. The plumber assigned to us, was very professional yet friendly, constantly updating us on the progress. Thank you. As always the plumbers were professional and efficient. I love that when they leave there is no trace of their visit except that whatever was broken is now fixed. No muck, no mess - great! I wouldn't use anyone else - everyone I've dealt with this company has been EXCELLENT and so friendly. The company cares about their business, our local community and our environment. And the plumbing has been so great - perfect in fact! Kevin diagnosed the problem and fixed it promptly. No surprise with the level of professionalism from Pipe Perfection staff as i've used them in the past before, and will continue to in the future. Kevin always removed his shoes every time he entered the house and he also was thoughtful enough to close the garage door for me when i wasn't around. We have used Pipe Perfection Plumbers for almost 10 years for our plumbing maintenance and repairs. I keep using them because they are reliable and punctual, keep us informed in regard to their arrival time and fully explain what work needs to be done. They are upfront about the costs and their work is high quality. For jobs inside the house they take care in keeping things clean and always clean up after their work inside and out. This professional approach will keep me using Pipe Perfection for years into the future. Well done to Darren and his team for building such a reliable business. Kevin diagnosed the problem and fixed it promptly. No surprise with the level of professionalism from Pipe Perfection staff as I've used them in the past before, and will continue to in the future. As a woman, I appreciated being treated with courtesy and respect by your tradesmen, and I value the effort not to walk dirt through the house. Darren and his team take their work seriously. They are all hard working, polite, friendly and customer focused. On this job in particular, I noticed our plumber's work ethic, his friendliness and his willingness to work until the job was done. I've been using Pipe Perfection since 2009 and have always been happy with the quality and standard of their work. I'd be happy to recommend them to inner west home owners. They really understand the plumbing and drainage issues that are common in this part of Sydney. They work with you, in a proactive way to find a permanent solution, rather than a bandaid solution to your domestic plumbing needs. Thanks guys! I was very impressed with the team from Pipe Perfection. They were on time, pleasant, professional and got straight to work. The team understood the value of providing good customer service. Time was taken to answer all questions fully, and a running commentary was provided on their thoughts and progress on the task. No question or request was too much trouble for them to handle. I would recommend them unreservedly, and will be using them again should I need a plumbing service in the future. I had 2 teams come and attend the site. All the team was incredibly polite and courteous. They were very easy to get on with, which made the experience pleasant. Fast response, on time, very high standard work, safety check other gas connections, great cleanup. Honestly I cannot think of any area that needs improvement, I am super impressed. I am an anxious customer but reassured by polite friendly Felicity with confirming email. Kevin on time so professional and great advice. Work by our plumber who was super competent, fast, polite and friendly. He went the extra mile, making cover for unit, checking safety other gas connections and great cleanup. He is a marvellous, professional, experienced plumber. I found every contact I had from the office staff to the plumbers to be courteous, helpful and efficient. The job was done on time and everything was left better than it was before. It was a pleasure dealing with your team. You more than deserve your reputation with the amount of effort you put in to satisfy your customer. Pipe Perfection Plumbers were exactly that, gave a perfect customer service experience that I can refer to others without hesitation. Very happy! Thanks to Darren and the crew! From now on Pipe Perfection will be my plumbers of choice. They arrived on time, gave me a quote for the 2 jobs, completed both within the given time frame and the bill was as quoted. Thank you! Attentive, knowledgable and prompt - all for a reasonable price! What more can you want from a plumber? We were so very happy with Pipe Perfection from start to finish and we will use them for any future plumbing work. Felicity took my call and her phone manner was outstanding. Kevin arrived on time to do the quote and explained what needed to be done very easily to us. Our plumber came around and did the job, he was actually early and I had to keep him waiting as the work required a full shut down of water of our apartment building, he was happy to wait. The job was completed to our absolute satisfaction in half the time expected which was wonderful. They were all wonderful people to deal with. Happy, friendly and unobtrusive. We paid the $99 membership fee which actually saved us money with the 15% discount and for the next year if we have any work to do will not have to pay a callout fee. We also received a $50 discount from a promotion. We were absolutely delighted with the service and I will recommend Pipe Perfection to everyone! Thank you all for a great job. Everything about Pipe Perfection has been great - every single person I've dealt with has been efficient, friendly and focussed on my as the customers. All the plumbers plus the office staff have impressed me and I'm very happy with the service. I can really recommend this company - you won't regret using them. We have been using Pipe Perfection for many years and have always found them to be professional and to deliver great service. Team were punctual, polite and got the job done, with extras, in one day. We were very pleased with the end result. A big thanks to Kevin and and his team, true professionals. The service was excellent and a quote was able to be arranged quickly and easily. The job was done to a very high standard, with no mess left. I would not hesitate to recommend Pipe Perfection. I found every contact I had from the office staff to the plumbers to be courteous, helpful and efficient. The job was done on time and everything was left better than it was before. Having had a previous plumbing nightmare, it was wonderful to have our plumber turn up, quote informatively and then do the work AND tidy up. I actually could not be happier. We are very satisfied with the plumbing work we received from Pipe Perfection. Two different neighbours had used the company, and recommended them to us. The trades people were professional, polite and prompt. The company took great pride in the quality of workmanship and products they supplied. The finished job was excellent Ð polite tradesmen; great clean up; all rubbish and materials removed; and the back garden restored. The staff at Pipe Perfection are truly professional. They take time to help and care about the problem! They come up with great solutions. We would ABSOLUTELY have no hesitation in recommending this company for all your plumbing requirements. Pipe Perfection were great to deal with. When the guys came to do the job they were very friendly and explained everything clearly. Once it was completed they went through what had been done and how it would all now work. I would definitely recommend Pipe Perfection to others. Our plumbers were great. They are an asset to your business. Very courteous and have done an excellent job. Prompt, helpful service by someone who cared. it was a pleasure to book Pipe Perfection and I would recommend them to anyone and certainly use them again myself. Would highly recommend as all are polite, quick efficient and helpful! Very professional but caring about how the final look is. Quick and helpful staff in the office too! I was absolutely thrilled with the fantastic service I received. Our plumber was very professional and thorough. After fixing our tap and leaving the house - he returned 2 minutes later to double check that the gas had re-ignited in our water heater (so that were guaranteed hot showers the next morning!). I would definitely recommend Pipe Perfection to all my friends. Excellent service! On time for all appointments, clean and tidy and delivery at the price quoted while being very friendly and helpful. Very happy to use these guys again. Just want to thank you for fixing my isolator valve in the bathroom today. The plumber was the third plumber who has tried to fix it in the last 12 months and was finally successful! It wasn't an easy fix but he persevered and completed the job. I couldn't thank him enough. I just wanted to let you know what a great job he did and all while being extremely pleasant and mannerable. He called to say he would be a little early and arrived when he said he would. I am thoroughly pleased with the outcome and wanted to let you know. He is an asset to your business. Thanks again. Great work, friendly service. Very professional. Very impressed with the approach. You guys rock! Have we forgotten what it was like when tradespeople took pride in their work, treating you and your property as if it were their own? Have we simply accepted that if the job gets done at all we are satisfied?ÊNOT ANY MORE! Pipe Perfection delivers every time in every way. I cannot recommend them highly enough. All aspects of dealing with them is a pleasure. The office staff are always friendly, efficient and professional. 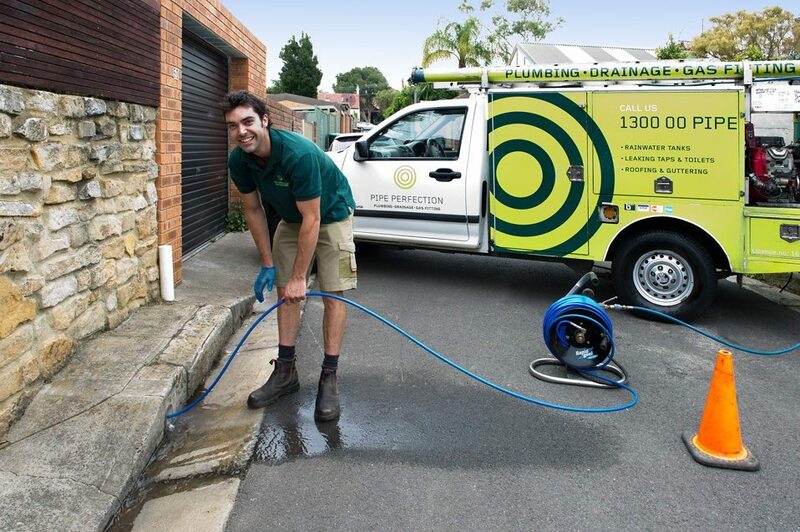 The plumbers are tidy, punctual and you feel confident knowing you are getting the work done to perfection. Our plumber was so completely friendly, clear in his expectations ad explanations. I don't have any negative feedback. The service was speedy, clean and patient in terms of explaining to a lay person. Great service. Trades very polite and helpful, with an update even in the evening. The plumber was also kind enough to speak to a sales person selling me new fittings for my bathroom, to ensure correct measurements. Being a woman on her own it is always a pleasure to have reliable trades who you can trust and recommend. We can always trust Darren and his team will do a thorough job. The whole team are incredibly professional and take pride in their work. Wouldn't use anyone else. All staff a complete pleasure to deal with. In my experience it's hard to find tradespeople who are punctual, trustworthy, friendly, great at what they do and reasonably priced but Pipe Perfection ticks all boxes. Wish I could give more stars! Pipe Perfection Plumbers were fantastic in every way. They were punctual, hard working and made sure everything was clean and neat on completion of the job. Nothing was too much trouble and they went to great lengths making sure that all our problems were solved .Their people skills were excellent and we would have no trouble recommending their workmanship at all. It is great to find honest tradesmen who really show concern for their customers. Couldn't speak highly enough of the service we received. Thank you! The guys were super friendly, knowledgeable and prompt... I'm completely happy and will call Pipe Perfection again next time I need a plumber! I am so happy with the service provided by Pipe Perfection Plumbers. They were super professional and very punctual. Kevin was very thorough when he went through the quotes for the work and also in describing what they were going to do to fix my leaking pipe. I felt really comfortable with the guys and they were so good at just coming in and getting the work done. It's hard to find this high level of service in any industry. I am so impressed and I will definitely be recommending Pipe Perfection to my colleagues, friends and family. Efficient and friendly service. The pre-booking phone call to update on arrival time was a great touch. As always, Pipe Perfection delivered swift, professional and friendly help at a time of need! Darren and the team have done multiple jobs for me over the years. On each occasion they have done a great job and have been pleasant to deal with. I have complete trust that they will do the job quickly and I have referred them many times in the past and will again in the future. I have been so happy with the service and work done. Kevin was knowledgeable , courteous , punctual and really helpful. He went out of his way to offer all options and took my situation into consideration. I can't thank you enough. I trust their advice and competency. Pipe Perfection were very punctual and dedicated. On the day of our plumbing work being carried out, it was raining torrentially. Pipe Perfection were very considerate and persistent and still completed the instalment for us. We would highly recommend their services. Prompt and reliable in their quoting process. Thanks so much for such a great job! Darren is not only a skilled professional, he's a great guy, very reliable and really cares about his work. I would highly recommend Pipe Perfection Plumbers, the guys are great! Pipe Perfection were very professional, explaining clearly what they were going to do, and they followed through with all. I would very much recommend them to anyone who needs plumbing work! Darren and his colleagues were excellent, polite and thoughtful. We were very happy with them. Kevin had previously let me know that there was a much easier way to get a gas connection inside my house than the way I thought. So that's what he did. The fittings are very neat and hug the wall and the area was left clean. If I wasn't 100% happy with Pipe Perfection Plumbers I wouldn't have called them the 2nd time or the 3rd or is this the 4th? I've lost count. Pipe Perfection were highly professional from the initial contact to the booking itself. Kevin explained exactly what could and couldn't be done then completed the work with his colleague Tim before cleaning up. I was very happy with the work and would recommend Pipe Perfection to anyone. Right on time and super helpful. The plumber suggested all the options to suit my budget. Very professional. Neat and tidy job. Washed the floor indoors and outdoors after drilling to put in a new gas pipe. Tested everything to make sure it was still working before leaving. All the guys that came onsite were really nice and they knew what they were doing. Thanks Darren for making a huge job fairly painless. You have a lovely bunch of people working for PPP. From the minute I saw the over shoe covers I knew I had called the right men. Absolutely fantastic job. Even our puppy wasn't too much trouble under our plumbers feet the whole time! Will be using Pipe Perfection forever. We were very happy with the timely, efficient and friendly way in which the plumber assessed, quoted and carried out our plumbing work. The urgent job was done that very morning. The assessment of our other plumbing, roof and guttering needs was explained clearly as were the options for payment. Happiness guaranteed indeed. Professional and reliable. Friendly and helpful team who answered all my questions really well. Great job. I was impressed with the flexibility of an early morning appointment, the prompt arrival of the plumber (Kevin), the ability to quickly source and replace all internal cistern components, and the overall professional attitude demonstrated by Kevin. Darren arrived at the agreed upon time and set to work. Our storm water pipes are now clean as a whistle. Thanks Darren. Great service. Fast and professional. Great personal service, took the time to explain the issues. Always happy to take a look at "just another problem" we have. My mum and I were impressed with the prompt service and professionalism shown by Kevin. Always on-time, friendly and helpful. We are 100% happy and will continue to use Pipe Perfection for our plumbing needs. Arrived on time for the initial inspection and managed to get the job done in the same day. Great work. Excellent service and communication. Very professional and super friendly staff. Would definately recommend to friends and use again. I thoroughly satisfied with your reliable service. Now I know which company to recommend to my friends and family. Excellent plumbing services were provided by friendly professionals offering cost effective options. Would happily recommend the services of Pipe Perfection Plumbers to all my friends. Thank you, Lynette. I wasted thousands of dollars in unblocking my sewer as I feared the cost and inconvenience of having the pipes replaced. Pipe Perfection solved the problem in a week. I wish I hadn't waited that long. Thanks so very much to their friendly, reliable and efficient tradesmen. Darren is an outstanding plumber and two times we contacted him he resolved the issues quickly and to the best standard. We will recommend him to both friends and family. Thank you so much! We are really happy we found your company. I was impressed with the professional and careful service I received. When the job was complete everything was tidied up and left clean. Efficient and professional service from both the office, and the plumbers who completed the job. We would use them again. Our plumber was very helpful in describing the options available. He was quick, professional and didn't leave a mess. Happy to use them again. I got the idea from Appliances Online that it would be difficult to install mywashing machine but it was done efficiently and well. I would definitely recommend them. Very professional, efficient and flexible service that worked around my busy work schedule to fit me in as soon as possible. We received excellent and prompt service. I loved it that I could book online and communicate around a booking time via email as it is not always easy to fit home maintenance calls in during business hours. Our plumber was prompt and super helpful. He gave us advice about other plumbing options around the house but didnt push the things we didnt want done - we really appreciated this approach as it was good to be made aware of things we could do or install that we didnt know about or hadn't thought of. I would definitely recommend Pipe Perfection and will have them back to take care of any future plumbing work. Had a blocked sewer. Phoned Felicity at Pipe Perfection. She arranged a plumber asap. Kevin came out, quickly fixed the problem. Great guy, no fuss. Highly recommended Pipe Perfection. Very responsive office staff and booking process. Had a plumber on site within a few hours. Happy with the work. Thanks. Looking forward to your plumbing service. I've used you guys in the past and was very happy. Will continue to use you guys again. Arrived on time. Really helpful, quick and professional. We will be calling them next time. Our plumber was prompt and efficient and got the job done with minimal fuss and maximum outcome. I'm really impressed with your service and just being available for a good service. Darren from Pipe Perfection Plumbers was very efficient. He has done the job quickly and he was good. Just thanks really and appreciation for prompt and friendly service - all done with thorough explanations despite rain and generally unpleasant circumstances.